When you first start marketing your event lots of people will see your message. But only a small percentage of them will convert into buyers. Assuming that 200.000 people hear your message and 2000 buy tickets to your event, this means you have a 1% conversion rate. There are ways you can increase the conversion rate, and we have written multiple articles on this subject. You can write better marketing copy, use influential marketing or use the right social media tools for marketing. 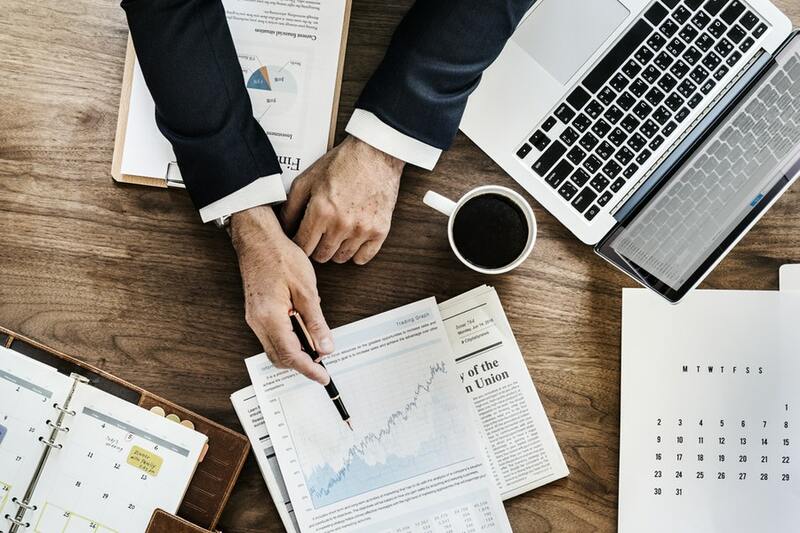 And later in this article, you will see why any small improvement can dramatically improve the overall financial result. So, if your average ticket is 500 USD and you have 2000 paying attendees, your ticket revenue will be 1.000.000 USD. You have invested a considerable amount of money to convince people to come to your event, but let’s exaggerate and think that all of your attendees are the result of your marketing campaigns. A great experience will bring people back to your next event(s). And considering the fact that it’s 6-7 times more expensive to acquire a new client than to retain an existing one you should definitely make the most out of this opportunity. In average, event profs invest in marketing between 1 and 8 percent of what they expect the event to return. We can use a 4,5 average and consider that 45.000 USD brought you 2000 attendees (22,5 USD/attendee). A job done right gives you the opportunity to sell tickets to next year’s event for 4 USD to at least 15% of your current attendees. Of course, figures are not quite exact, but I am sure that you see where I am going. But the revenue an attendee brings doesn’t limit to the ticket he pays for. If you are hosting a 2-day festival and attendees spend on average 100 USD per day, food and beverages will bring you 400.000 USD. But what if I tell you that Oveit can help you increase on-site revenues? Reports show that people tend to spend up to 30% more at events where a cashless payment system is in place. Using the right event management tool will definitely help you increase the revenue. p.s. We know sponsorship is a crucial piece of the puzzle. 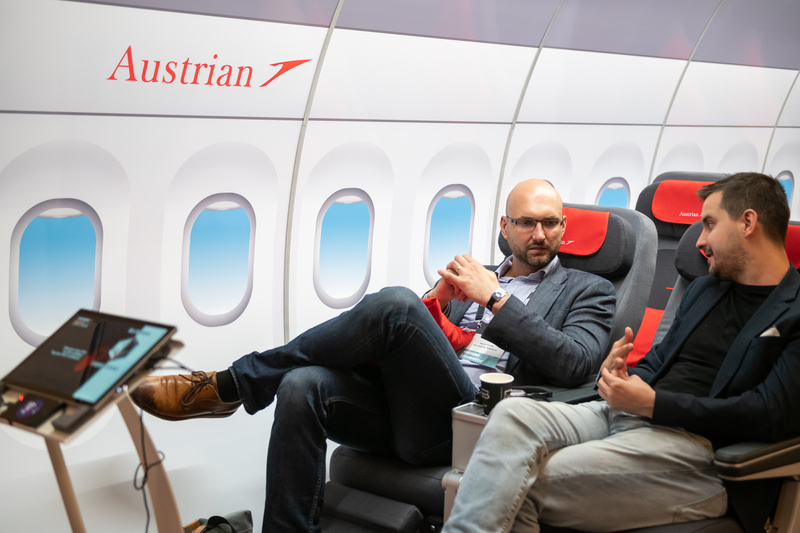 And to help event planners offer a great experience for sponsors too, we have developed our NFC built-in technology so that it can be used to engage attendees and collect data. Read more here. Increase your revenue: the practical example. Now, starting from this figures, let’s assume that you use our blog and technology and make just a few improvements. Maybe you refine your marketing strategy (better copy, better targeting etc.) and use an online ticketing system that allows you to sell tickets directly on your website. And buyers to use their mobile phones to place the order: your conversion rate goes from 1% to 1.5%. On-site, using Oveit’s cashless payments system, people spend 10% more, with an average of 220 USD. with the same 20% profit rate you will have 432.000 USD profit. As you can see, just some small improvements can increase your revenue without increasing your ticket price. Having the right partners can be the difference between failure and success, so make sure that you choose a smart tool as your event management system. Read here another great example of how small changes can bring huge improvements. Ready to welcome your future attendees? In the last few years, we have read (and written) countless articles on Millennials and how this generation is changing the event industry and consumer habits. 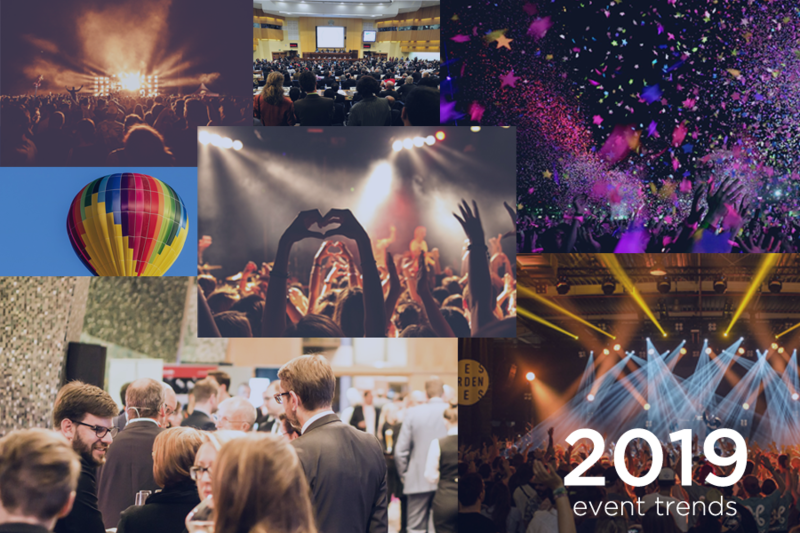 Now I would like to include the Z Generation in this article on how things are going to change; although Z generation members are still too young to fundamentally change the event management industry they will start to be a very important part in the next 24 months. Generation Z: name used for those born starting with mid 90’s (there are many discussions regarding the ending birth years for this generation). 2 years from now, Millennials and Generation Z will represent almost 60% of the worldwide employees. Online marketing, using both search engines (and search engine optimization) and social media platforms. If you need any help please read one of the multiple articles that we have written about how to use keywords, email marketing, Instagram and Snapchat to promote your events. P.s. 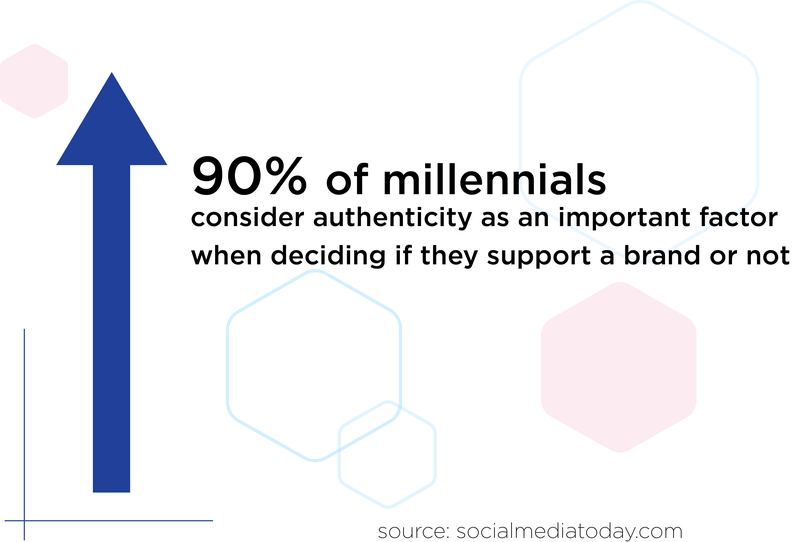 if you think social media marketing works great for millennials you should know that Gen Z members are 4X more likely to convert on it. Great news or what?!? The movement toward smart event management tools, tools that allow your future attendees to buy online tickets using their smartphones. Why? Because a recent study shows that gen Z would rather give up TV for a day (80%) or event money and friends (28%) and keep their smartphones in return. So a software that allows them to buy tickets using smartphones is more than welcome. Another important aspect is represented by the importance Gen Z members give to the environment and social responsibility. According to fusemarketing.com, “85% of Gen Z believes companies have an obligation to help solve social problems.” This also includes the environment and a paperless ticketing system is one way you can show that your event management company cares about the environment. If in the past we were shocked by the short attention span that millennials had, now things are even more complicated. 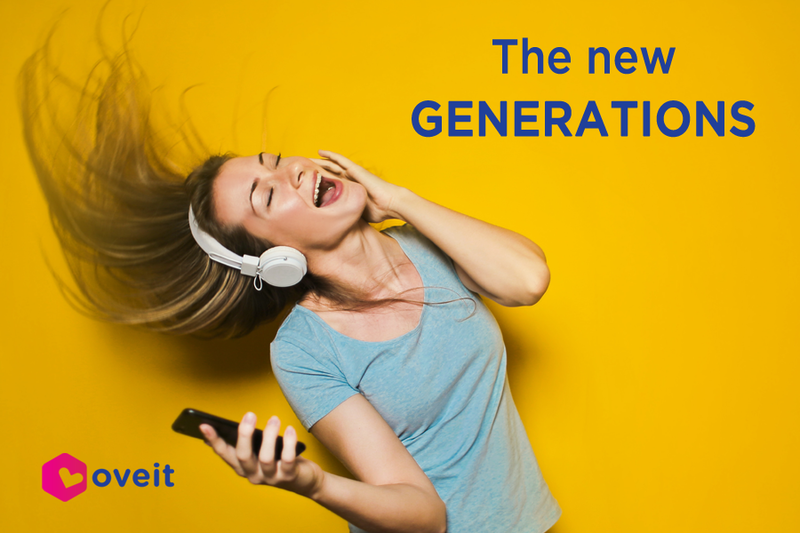 The average attention span for gen Z is 8 seconds (4 seconds shorter than the average one of millennials), forcing us to become a lot better when trying to get their attention. This is one of the most important aspects why our partners use NFC technology for on-site interactions. 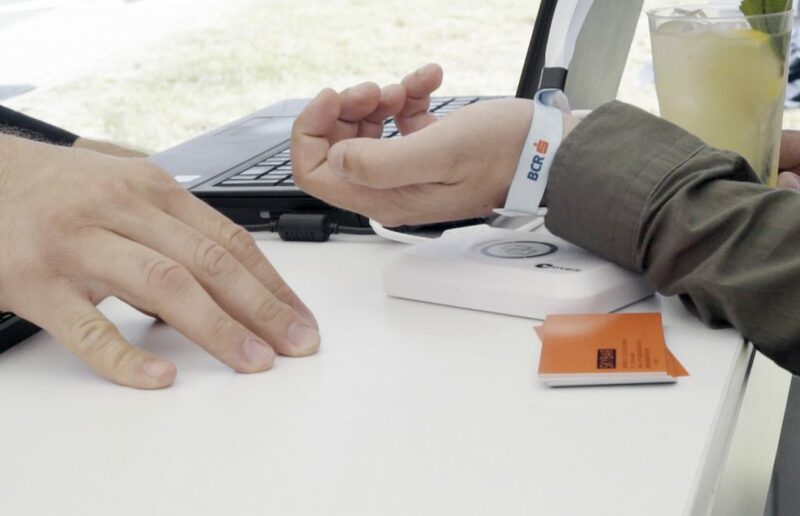 If attendees see something that captures their interest they just need to tap the wristband to let the exhibitor/sponsor know that they would love to find out more. And an NFC-ready event management software (like Oveit) does the rest. Forget about cash or physical tokens, the future is 100% digital. Modern times allow us to take event payments to the next level and allow attendees to pay with just a tap of their wristband. No cash, no queueing, no worries. 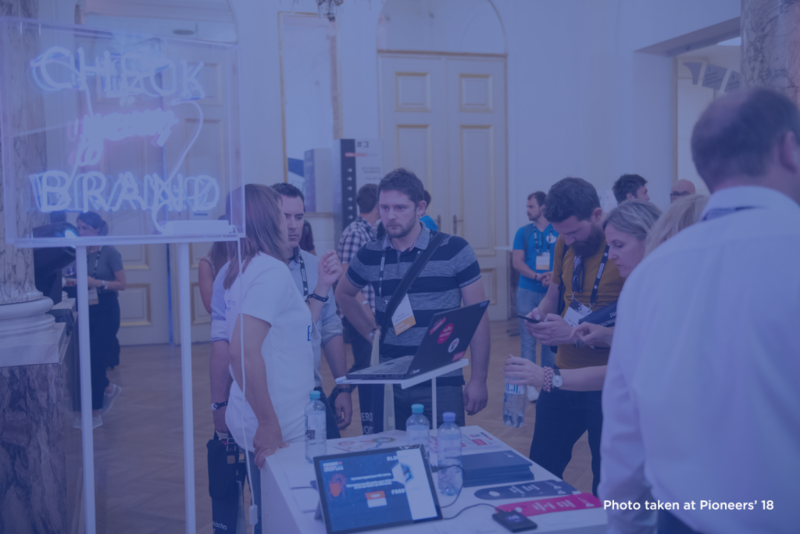 Attendees should be able to top up credit using a designated top-up point (or even the event app) and payments will be instantly processed, allowing your guests to concentrate on the things that really matter at events (networking and having fun). As you we can see around us, by each passing day technology becomes more and more important. For us, but especially for those that never lived in a tech-free world, the future cannot exist without smartphones, apps, gadgets, and wearables. And neither the event industry. 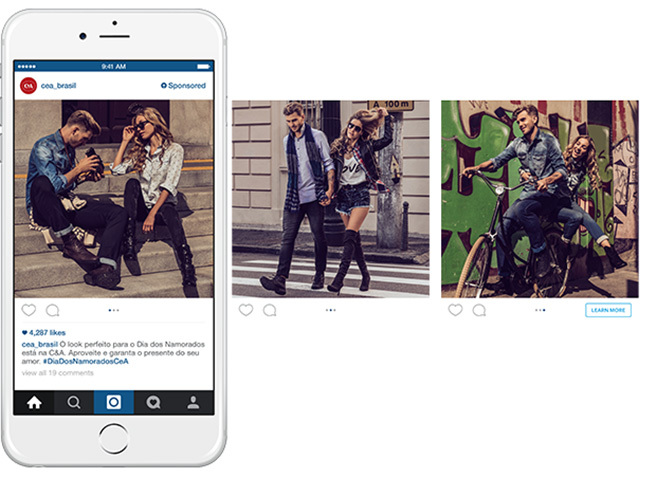 Are you using Instagram’s latest updates? 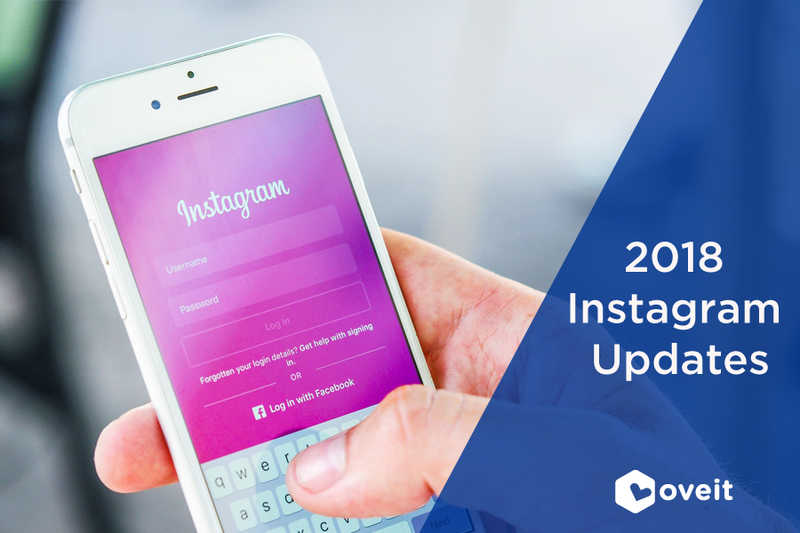 2018 brought some really exciting updates on Instagram, making the Facebook-owned platform one of the hottest places on the internet. We have talked about Instagram before, and I would like to start by letting you know that over 100 million new users joined since our last article on how event planners can use Instagram to promote their events. We have already mentioned the general features, today we are going to focus on the latest updates and how event planners can use them in their best interest. I would like to start with my favorite update, the ability to follow hashtags. Yes, this is correct, Instagram now allows us to follow hashtags just as we follow people or brands. The result is that all posts with that particular hashtag will appear in the user’s feed. This new option is very helpful for event planners that have created a unique hashtag for their events. Fans will be to join an online community by simply following the hashtag; their feed will gather content that uses that particular hashtag, no matter who posts it (official account of the event, performers, attendees of fans). With the help of a few lucky advertisers ( from brands like Coca-Cola, GAP or Bottega Veneta) Instagram is testing the way Carousel Ads fit into Instagram Stories. As an event planner, Carousel Ads are perfect because they allow you tell a short story about your event. As a marketer, Instagram Stories are great because they have a higher conversion rate than Feed Ads ( in a 2017 study conducted by Agorapulse – Instagram Stories had a 23% higher conversion rate than Feed Ads). I think it’s safe to say that Carousel Ads for Instagram Stories will be a great tool that combines two powerful features. For start, the carousel format will allow marketers to use just 3 pictures/videos, but according to Instagram officials this is just the starting point and things may change. In the past, it was impossible to schedule a picture to be automatically posted on Instagram. The process involved push notifications, meaning that when the time came for the post to go online we would still need our approval. The good news is that starting January 2018, Instagram allows business accounts to schedule single photos (and it automatically posts them) – the changes in Instagram API allows 3rd party apps like HootSuite, Later or Buffer to do that for Instagram users. For videos, ads, and multiple photos scheduling still involves notifications, but this update shows us that things are moving towards what we all want. For event planners, this new feature means more posts with fewer interruptions. P.s. there are signs that scheduling will become available for regular users as well. Instagram made it easier for users to upload pictures and videos into the Stories section. Following its latest update (April 2018), it is now possible for multiple photos and videos to be uploaded at once. Great news for content creators, this new option helps them save precious time. Earlier this year “Stories” received another update, the “Type” mode initially used for status update on Facebook. “Type” allows you to create personalized messages using stylish fonts and backgrounds and can be used by event planners to deliver live messages to their followers. It may not be the best way to communicate but it is an option that may come in handy. The Facebook-owned platform seems the hottest place to be right now, and the new features developed by the team behind are a clear sign that Instagram is shooting for the moon. The new Instagram Updates can help event planners better connect with their followers but also to reach new ones. 2018 seems to be Instagram’s year and it would be a shame not to use it to promote your events.